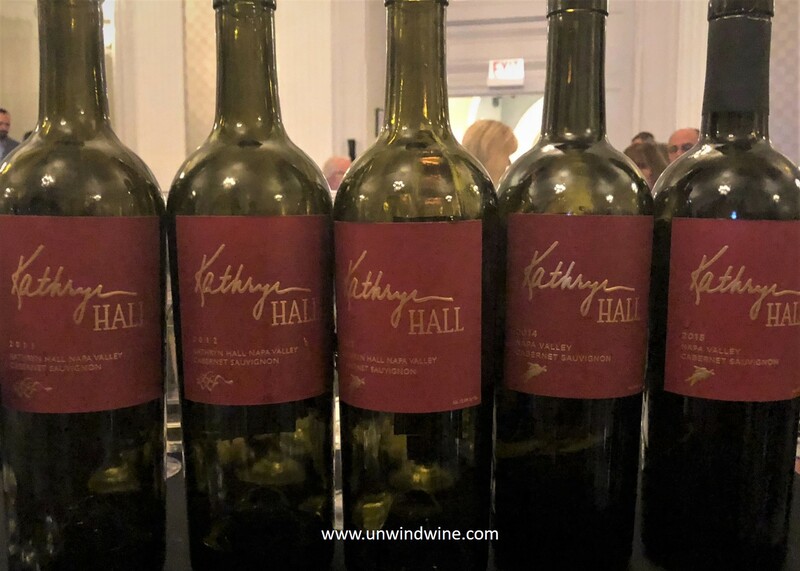 Kathryn Hall and the Hall Wine Club and marketing team hit the road this week to celebrate and promote the release of the flagship Kathryn Hall Cabernet Sauvignon for the 2015 vintage. 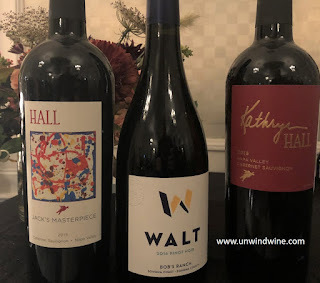 They conducted two tastings, a vertical tasting of Kathryn Hall Cabernet Sauvignon 2011 through 2015, and a tasting of select labels from the 2015 vintage release. Fellow Pour Boy, Dr Dan and me and our two Lindas attended the Chicago event held at the W Hotel, conveniently located a short walk from the office. A highlight of the main event was the chance to meet Kathryn Hall, and to have her sign a copy of her and husband Craig's New York Times bestseller book, A Perfect Score. 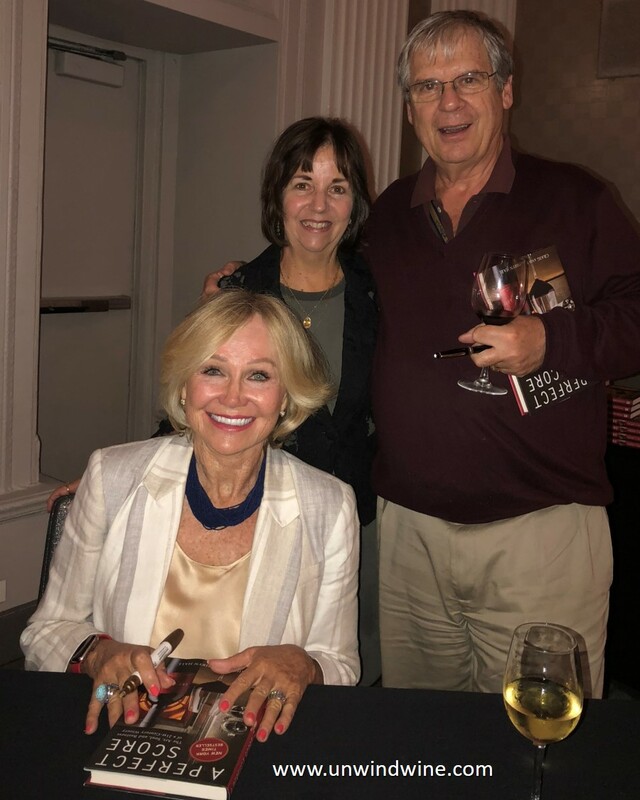 The book chronicles Craig and Kathryn Hall's twenty year journey from amateur winemakers to the ultimate achievement, recipients of an almost unheard-of perfect score from Robert Parker's Wine Advocate. A PERFECT SCORE tells the tale of their meteoric ascendancy in Napa Valley restoring the historic St Helena winery into the site and tourist attraction it is today, the building of their Rutherford facility and the tug-of-war between Napa Valley localism and tourism. Its an enchanting tale of the Halls' account of the art, soul, and business of a modern winery. We appreciate it when producers come to our fair city and try to support such activities. It shouldn't be surprising since Chicago was recently recognized as “best restaurant city in America” by Conde Nast Traveler. The declaration was from the magazine’s list of best restaurants in Chicago. Hall Wines have gained great notoriety and recognition since they acquired the historic St. Helena Bergfeld Winery in 2003. That historic winery in St. Helena was once the home of the Napa Valley Co-Op, producing 40% of Napa Valley’s wines. Today it is the site of the Hall St Helena winery and hospitality center. 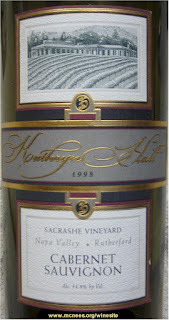 Previously, in 1995, the Halls acquired the legendary Sacrashe Vineyard in the hills of Rutherford which today houses their private residence, state of the art winery and magnificent caves and tasting room. The caves double as an art gallery. 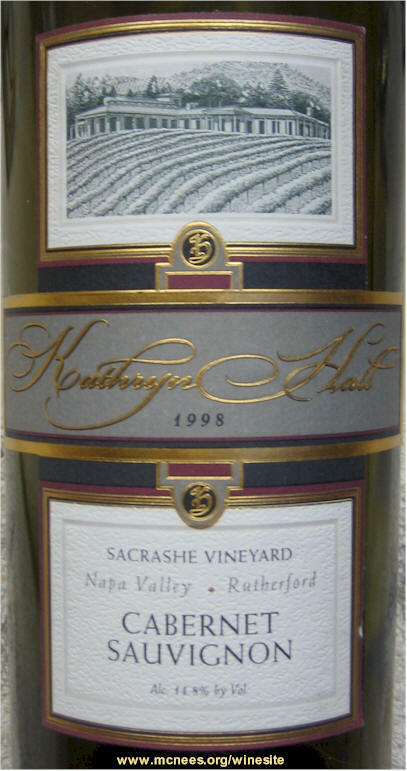 Our visits to the Hall Rutherford site have been highlights of several of our Napa Valley Wine Experiences including our trip in 2013 and again in 2017. I enjoyed sharing with Kathryn, that we have held, (and since drinken) Sacrashe Vineyard single vineyard select Cabernet Sauvignon dating back to their early days with the 1998 vintage. 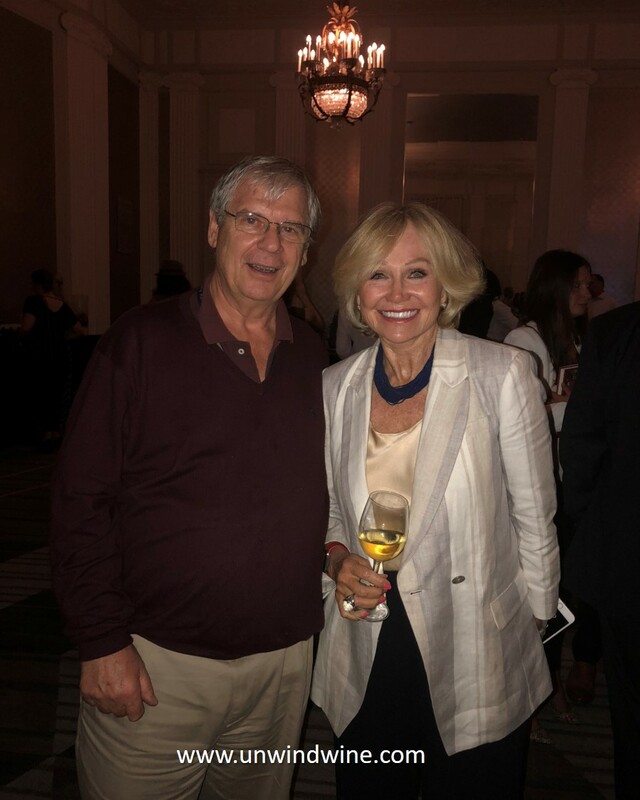 It was also an honor and privilege to be able to briefly compare notes of common acquaintances from my days in national security intelligence and Kathryn's time serving as the Honorable US Ambassador to Austria. Today, Hall’s estate vineyards encompass more than 500 acres of classic Bordeaux varietals; Cabernet Sauvignon, Merlot, and Sauvignon Blanc. Kathryn, the flagship Cabernet Sauvignon, and Walt 2015 Pinot Noir, named for Kathryn's family maiden name, Walt. 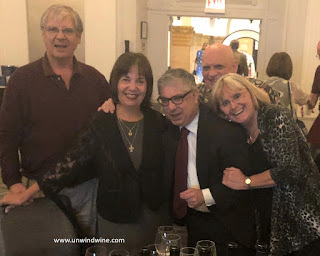 Such release events are an important part of our wine collecting strategy since we collect specific horizontal collections in the birthyears of our kids and grandkids, as well as vertical collections of select signature labels for each of them. Indeed, these birthyear collections and our large format bottles for such were the subject of our feature when our cellar was featured in Wine Spectator in the Collector column in June of 2001. Also served was the 2015 release of “Jack’s Masterpiece,” an annual release of signature Cabernet Sauvignon named for Hall’s former winemaker and current President, Mike Reynolds, and the label artwork created by Mike’s then 18-month-old son Jack, as a Father’s Day gift, back in 2012. We have fun with these wines, selecting the Sauvignon Blanc and one of the premier Cabernets for our holiday Christmas packs, with card coined, deck the Halls! 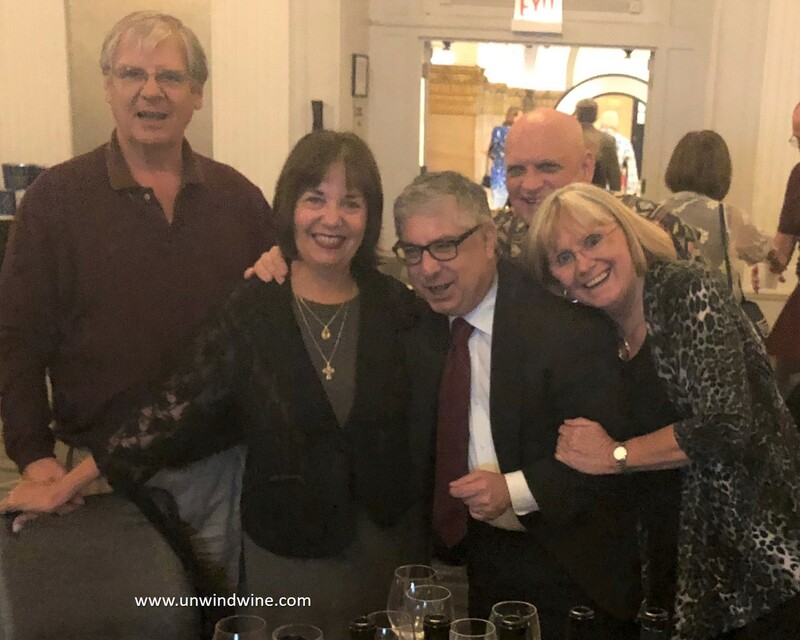 Last year, I helped source for son Alec and his leadership, the spectacular Hall Exzellence ultra-premium Cabernet Sauvignon for their holiday client recognition appreciation gift. 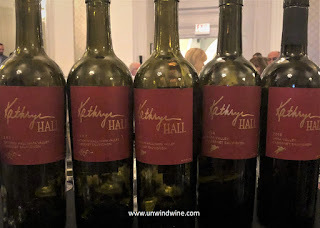 Additionally, the Hall team hosted a separate, SOLD OUT vertical tasting of the classic flagship namesake Kathryn Hall Cabernet Sauvignon showcasing the vintages from 2011 through the current release 2015.